I am excited to be exhibiting at Napa Valley Museum with Esther Traugot! My crystallized book series and a few other small sculptures are on display alongside Traugot’s crochet covered natural specimens from August 3 through September 18 in the Spotlight Gallery at the museum. 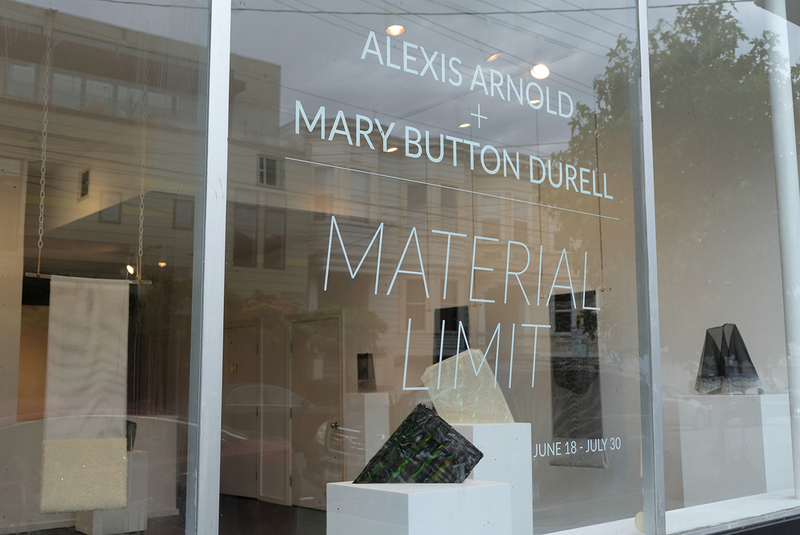 Material Limit brings together Bay Area-based sculptors Alexis Arnold and Mary Button Durell in the inaugural exhibition at state. These two artists’ practices center around the sustained investigation of material, and how different materials interact with space, light, and time. Material Limit will be on view through July 30th at state, 1295 Alabama Street, San Francisco. Gallery hours are Tues - Sat 12 - 5 pm or by appointment. I am excited and grateful for the article on Material Limit in the SF Chronicle and the SF/Arts NY Times insert! My Crystallized Book series was recently featured on Hi-Fructose and Upper Playground, as well as included in this great article about Borax on KCET and printed in Issue 29 of Uppercase Magazine. I am excited to have my Grand Prismatic Spring Concentricretions included in the exhibition Common Ground: A Celebration of Our National Parks at the David Brower Center in Berkeley, CA. The show is on view from May 20th through September 8, 2016. Show press from the San Francisco Chronicle here. I was thrilled to be a featured artist at the Berkeley Public Library Authors Dinner on February 6, 2016. My Crystallized Book Series was featured in the July 2015 issue of mental_floss magazine! Scroll down to see more recent press highlights on the Crystallized Book series.